taxophobia is an irrational and persistent fear of disorderliness (or untidiness). Ataxophobia is the Fear of Disorder or Untidiness Sometimes, mess & clutter can become a source of persistent and intense stress. The fear of disorder or untidiness can influence people with certain behavioral personality. It has been observed that people who are considered as ‘neat jacks’ are most prone to develop ataxophobia. 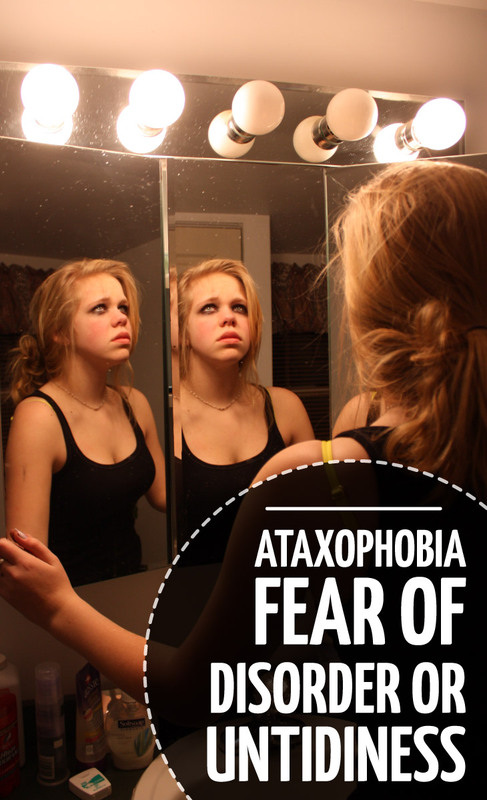 In a place filled with mess or confusion, ataxophobia causes a stress response. This can lead to compulsive behavior. Frequent clean-ups & organizing can become an obsession with the affected person. Any distraction or unpredicted occurrence can lead to distress or a panic attack. Long periods of time, along with unwarranted efforts, will be spent in tidying things up and keeping the surroundings free of disorder. Those with an extreme form of this phobia may find that their personal ability to lead a normal life is affected to a great extent. As with other phobias, symptoms can get triggered when faced with the feared object, subject or situation. Peculiarities such as evasiveness are more likely to surface when an ataxophobe confronts untidiness and disorder. And often, obsessive cleaning can also become a likely factor that comes into play. It is interesting to note that mysophobia can also develop in those with ataxophobia, and a combination of these fears can put increased stress & anxiety. A person with such fear will extensively rely on gloves, hand sanitizers, or other protective items. A number of treatments are available to treat this disorder. An effective ataxophobia treatment consists of utilizing the services of a psychotherapist. Talking with a professional psychotherapist about your reactions associated with disorder and untidiness is the first positive step to attain a more practical approach towards dealing with this problem. Exposure therapy may gradually be introduced by the therapist to make the patient overcome related anxiety and fears. Systematic desensitization is another technique used to treat ataxophobia patients. A gradual exposure to an environment of disorder or untidiness makes the patient acclimatize with the surroundings. With passage of time and therapy the patient becomes more confident and is able to control and minimize the phobia.